I wrote a How to use HAProxy with Let's encrypt a few months ago http://www.whiteboardcoder.com/2016/05/lets-encrypt-haproxy.html . Now I have recently had a chance to tweak on it again and I figured out a better way to do it. Also I am going to tackle a little more advanced example. I am going to do this all in Ubuntu 16.04. At the end of this I will have this basic setup. 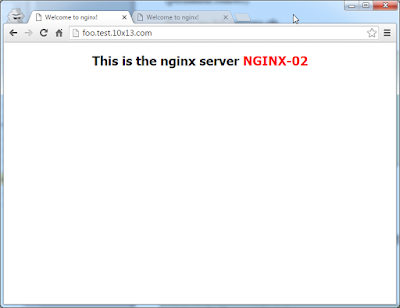 I also edited the /usr/share/nginx/html/index.html file per machine so I would know which machine I was hitting. Before I get Let's Encrypt working I want to get HAProxy installed and load balancing between the two servers. 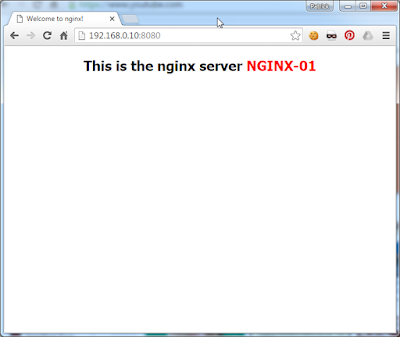 With this in mind I am going to install nginx on the same box as the haproxy box. 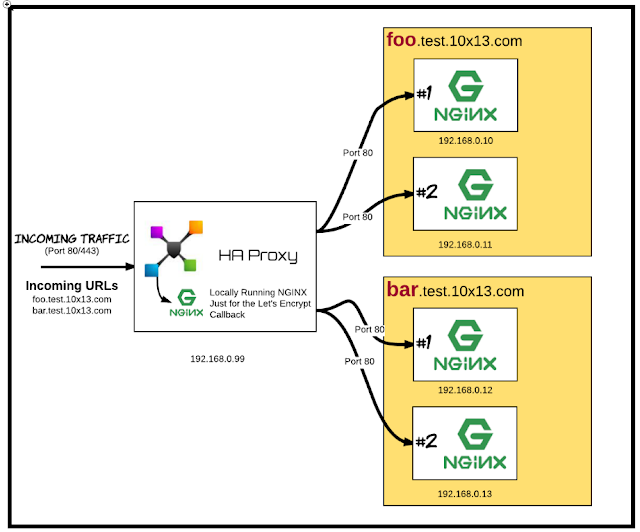 Have the haproxy route that path to the local nginx box. 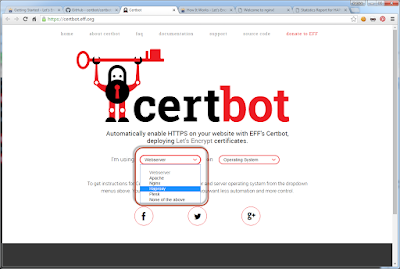 This will allow me to handle and update all the ssl certs on the haproxy box with ease. 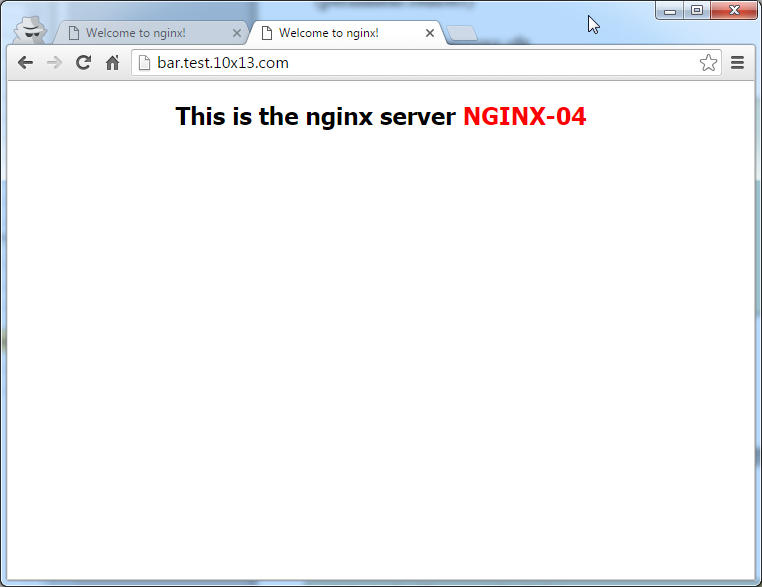 So that it will send /.well-known/acme-challenge/ to the local nginx box. It even helps walk you through. Looks like Ubuntu 16.04 has a simpler install procedure. 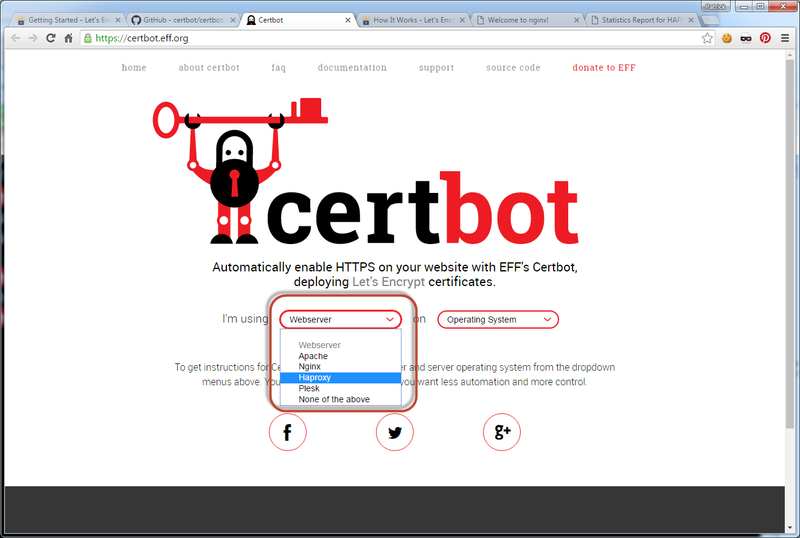 Make sure your URL is accessible from the outside world then run this command to get a certificate automatically. This cert was made using the staging server so it won't work. To get a legit cert run this command. > sudo bash -c "cat /etc/letsencrypt/live/foo.test.10x13.com/fullchain.pem /etc/letsencrypt/live/foo.test.10x13.com/privkey.pem > /etc/haproxy/certs/foo.test.10x13.com.pem"
Now onto the script I made (based on https://gist.github.com/thisismitch/7c91e9b2b63f837a0c4b#file-le-renew-haproxy ). List the domains you want to get SSL certs for and this script will obtainer the cert if you don't have it or if you do have it will see if it needs to be renewed and renew it. At the end if a cert has been added or renewed it reloads haproxy. echo "Creating certificate for domain $domain." echo "$domain, no need for renewal ($DAYS_EXP days left)." echo "The certificate for $domain is about to expire soon." 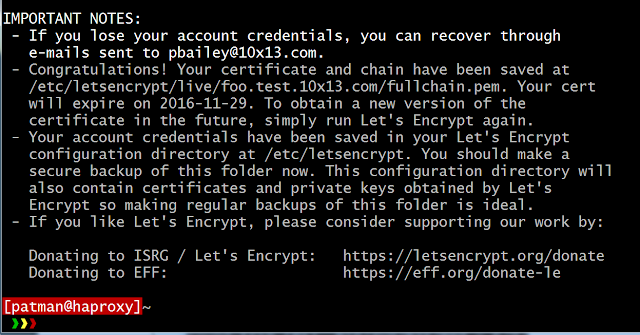 echo "Starting Let's Encrypt renewal script..."
echo " = = "
echo " === Reloading HAProxy === "
The first time you run it if you do not already have certs it will create them. If I run it again it checks the certs to see if they even need to be renewed. Now if you open http://foo.test.10x13.com/ it will redirect you to the secure version https://foo.test.10x13.com/. The same goes for bar.test.10x13.com. But if you go to the lets encrypt path it will not. http://foo.test.10x13.com/.well-known/acme-challenge/ Does not go to https. 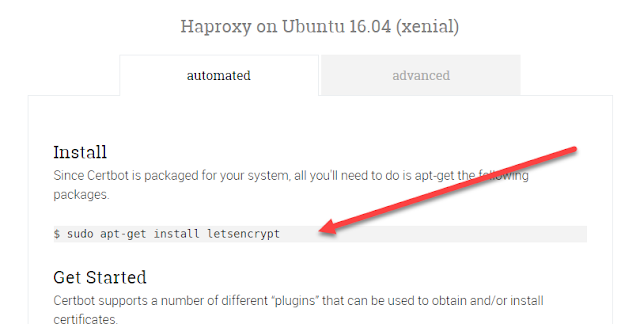 Nice article, but what about using letsencrypt with haproxy+Keepalived (or other fail-over solution)? Certificates should be synchronised between two servers. After that we will have to renew certificates manually (perhaps also synchronising letsencrypt directory) or we need other solution how to implement auto-renew on fail-over server. I think you would want to keep your certs synced with your backup server or for that matter any situation where you have multiple HAProxy boxes. If you had a situation where you had multiple HAProxy boxes I would designate one HAProxy box the ssl cert renewer and point /.well-known/acme-challenge from other haproxy boxes to that one. Then have the other boxes update their certs once a day from the cert haproxy box. ... if the haproxy box that renews the certs should fail... you have 30-90 days before you certs go bad... I think that gives you plenty of time to either get that server back up or turn one of the other ones into the cert haproxy box. 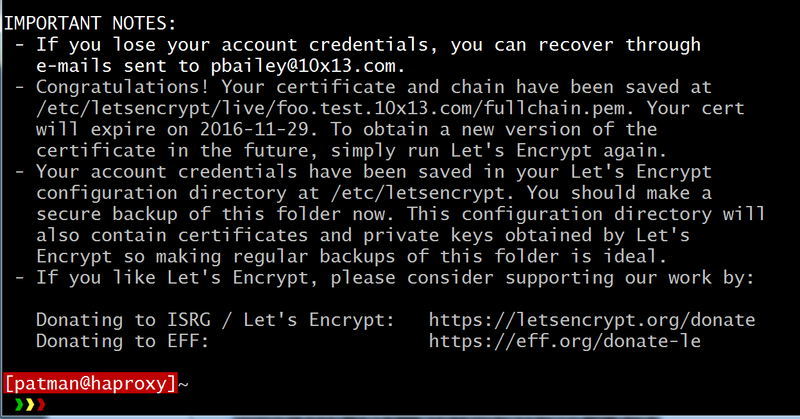 Your article helped me alot in using Lets Encrypt. I have one question though. What if instead of one domain, i had multiple domains on single nginx box? lets say there were "foo1", "foo2" on box 1 and they were in different root folders. 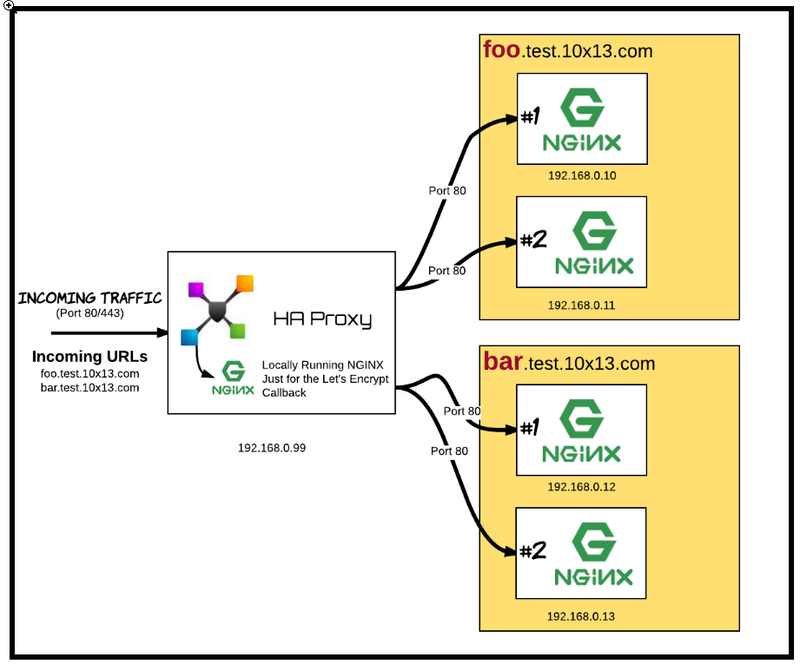 How would you configure nginx box on HaProxy box then, and how would your le-renew scrypt looked like? There are a couple of ways to tackle it. 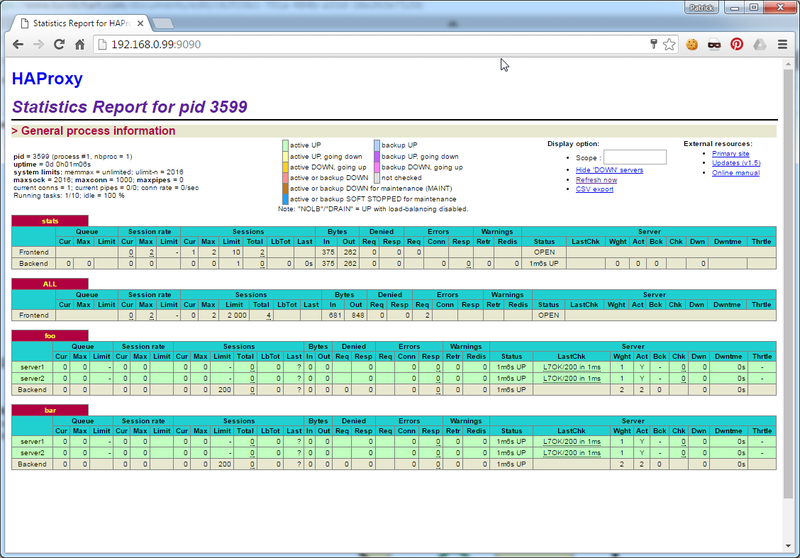 Let's say you are limited to one box that would host the nginx and haproxy (a little odd but lets go wit that). 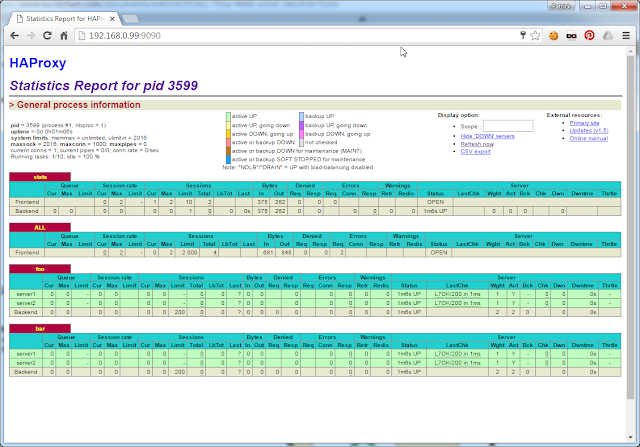 I would give port 80 and 443 to the haproxy box. The domain names would hit the haproxy box where it can filter by domain (I used subdomains in this example, but it can handle full domains as well). 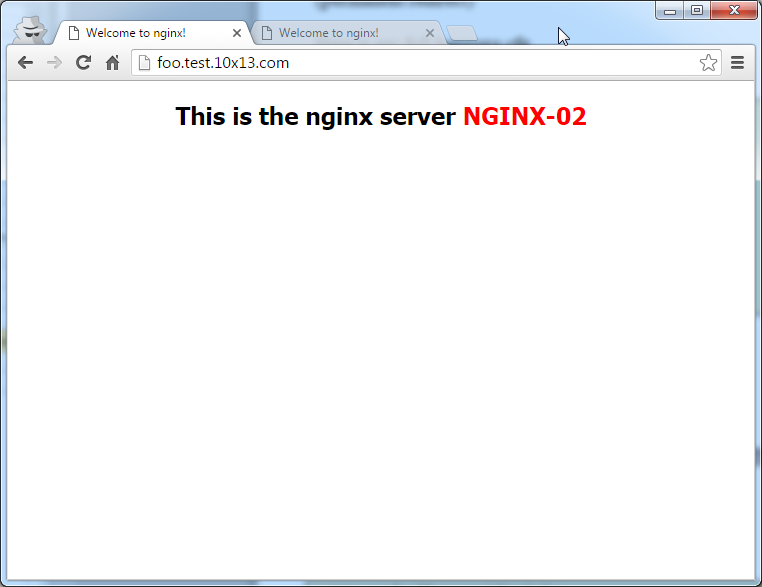 I would have nginx set up to listen on an odd port per domain foo1 port 1080 foo2 port 1180. 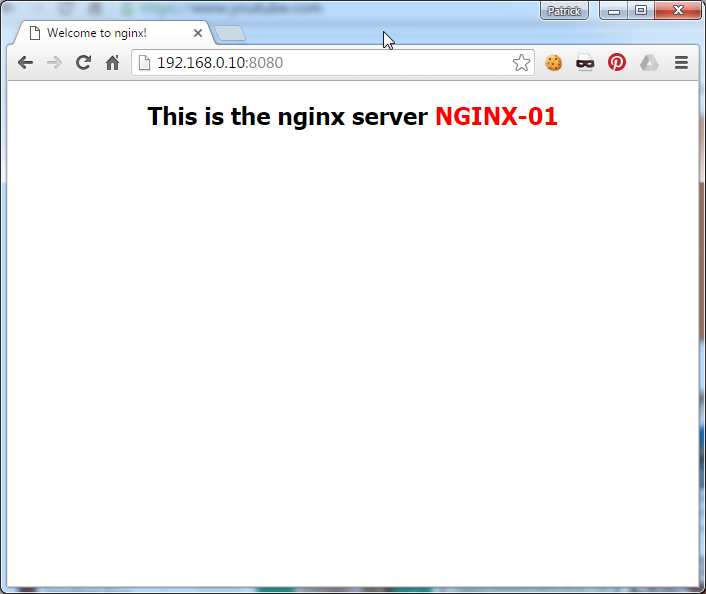 Then nginx can handle the fact that the different web sites are located in different folders on the same machine. The way it is set up the local letsencrypt tool will put a file in /usr/share/nginx/html/ (this is defined in the script WEB_ROOT="/usr/share/nginx/html/") and will ask letsencrypt to hit it to confirm you actually control the domain you are claiming to control. Oh then it's easy just have keep the haproxy cfg file almost the same having all .well-known traffic route to port 8888 locally. Then in the nginx.conf file have one server section for handling all letsencrypt traffic regardless of domain, then a server section defined per domain you want to run. I have tried every possible way of redirecting Let's encrypt to box behind HaProxy but there was no success. Your approach works perfectly. In my case i have used already installed Apache web server to listen on port 54321 which is used for KeepAlive between two balancers. Made puppet agent to sync certs between two HaProxy boxes.